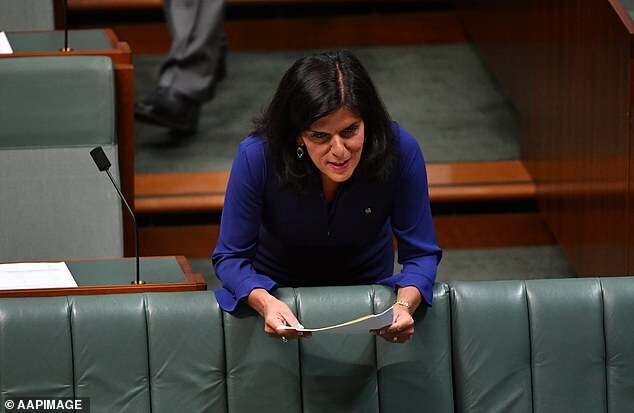 Scott Morrison’s minority government has been thrown into chaos with Liberal MP Julia Banks quitting the party and threatening the Prime Minister’s hold on power. The backbench member for Chisholm in Melbourne told the House of Representatives on Tuesday afternoon she could no longer support the government, less than an hour after her former boss hinted at a May election. ‘To continue to put the people before the party and act in the nation’s interest authentically and constructively, effective immediately I will serve as a member of this House of Representatives as an independent representative,’ she said shortly after midday. The former lawyer’s resignation from the Liberal Party makes her one of seven crossbenchers in the lower house of Parliament, who could bring down the government if they all voted with Labor to make Bill Shorten prime minister. ‘I intend to give the government my assurances to confidence and supply. The first-term member of Parliament was the only Liberal candidate at the July 2016 election to win a seat off the Labor Party. She fell out with the Liberal Party in August, after former prime minister Malcolm Turnbull was challenged for the leadership, and accused Home Affairs Minister Peter Dutton’s supporters of bullying. 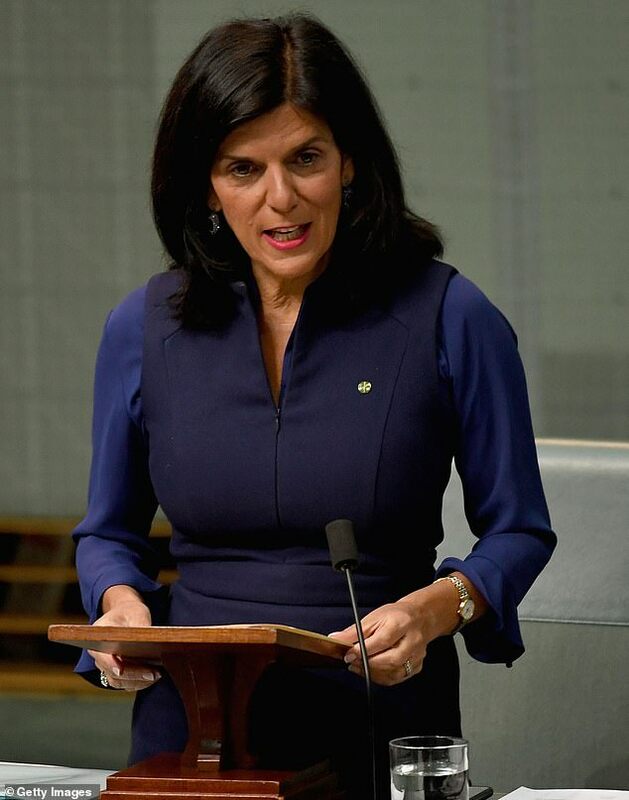 In her speech announcing her resignation from the Liberal Party, the MP from the moderate side of conservative politics blamed right-wing elements in the party for her decision to quit the government. ‘The aftermath of those dark days in August then acutely laid bare the major parties obstructionist and combative actions and internal games – all for political point scoring rather than for timely, practical, sensible decisions on matters which Australians care about,’ she said. Ms Banks also slammed the Coalition’s paltry female representation, with the Liberal and National parties having just 19 female members in both houses of Parliament, making up just 18 per cent of government MPs. ‘Mr Speaker, equal representation of men and women in this Parliament is an urgent imperative which will create a culture change,’ she said. ‘There’s the blinkered rejection of quotas and support of the merit myth. 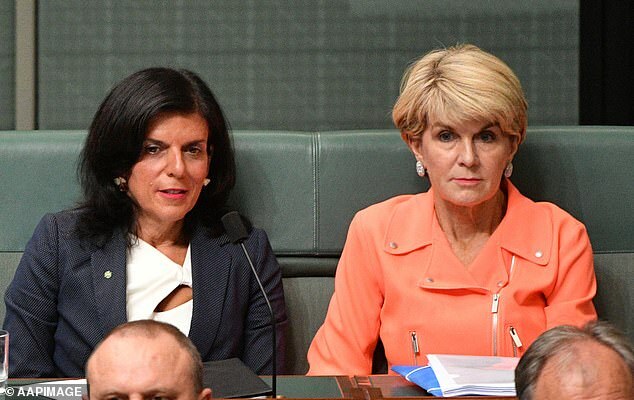 Ms Banks previously sat next to former Liberal deputy Julie Bishop in the House of Representatives, after she quit as foreign minister upon receiving just 11 votes in the Liberal leadership ballot in August. 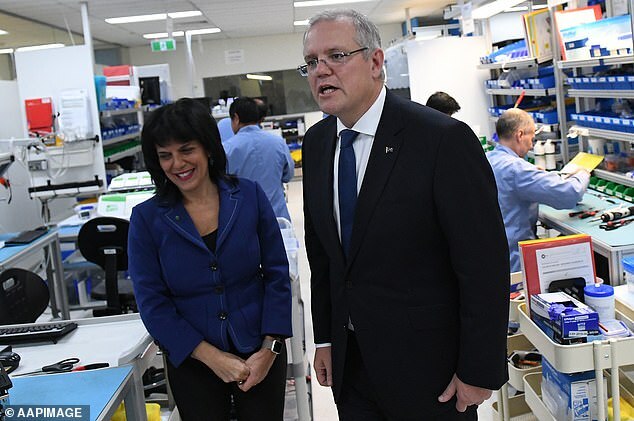 The Morrison Government lost its one-seat majority in October after high-profile doctor and independent candidate Kerryn Phelps won Mr Turnbull’s former Sydney eastern suburbs seat of Wentworth, which had been in conservative hands since 1901. Ms Banks is now one of seven crossbenchers in the House of Representatives, alongside Greens MP Adam Bandt, Centre Alliance member Rebekha Sharkie, maverick north Queenslander Bob Katter and independents Andrew Wilkie, Cathy McGowan and Dr Kerryn Phelps. With Labor having 69 seats in the lower house, Bill Shorten could become PM if all of them backed the Opposition in a no-confidence motion against the government. Ms Banks sensationally quit the Liberal Party on Tuesday, less than an hour after Prime Minister Scott Morrison announced the government would deliver a budget surplus on April 2 before going to an election. The PM needs to call an election for the House of Representatives and half the Senate by May. ‘You do the maths … to have a half-Senate and House of Representatives election, that would have to be conducted by the 18th of May,’ Mr Morrison told reporters in Canberra. Australia has not had a May federal election since 1974, when Gough Whitlam was seeking a second term as Labor prime minister and called a double dissolution election over the introduction of universal health care.